The Shot of the Living Dead is the first full production by 14 year old, Solomon Wolfe Maldonado. He was fully assisted by friends and family while taking on writing and directing responsibilities. You can support this production and up coming productions by clicking on the PayPal Donate button below for credit card donations. 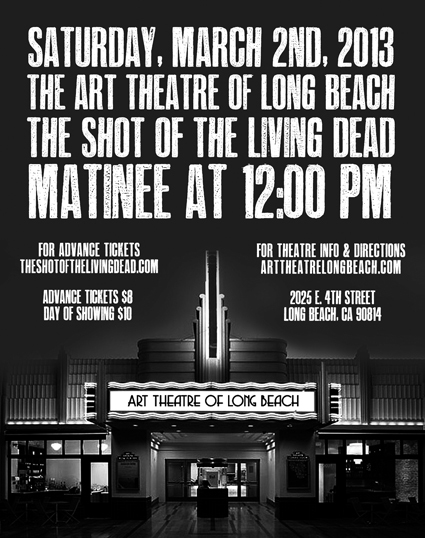 In March 2013, Bad Gift Productions hosted the premiere viewing of The Shot of the Living Dead at The Art Theatre of Long Beach. If you were there, Thank You for your support!